Wellness Spa is developed from conventional spa in response to the influence of the present tourism trend which is much in demand of the achievement of wellness aspect of life. Wellness tourism is a subdivision of health tourism. Wellness spa is the core product for wellness tourism. In fact, to date, people’s knowledge about wellness spa is still poor. This fact has motivated the implementation of this research under the title “Spa Products as Main Orientation in Wellness Tourism in Bali”. The objective of the research is to find out what products becomes the orientation in wellness tourism in Ubud as well as in South Badung. This qualitative research uses a phenomenological approach to the study. The determination of the informants is purposively done, and the information concerning the object of the research is obtained by deep interview controlled by a checklist based on Wellness Wheel concept. The location of the research is Ubud and South Badung areas, the latter represented by Nusa Dua, Jimbaran, and Kuta. The research uses 10 informants, 5 from Ubud and 5 from South Badung. The informants include spa managers and spa therapists. The result of the research shows that such packages as Bali spa ritual package, personal growth, and eco-adventure package become the most attractive products offered by wellness tourism industry and enjoyed by the tourists for the fulfilment of the tourists' wellness needs. WENDRI, I Gusti Made; NADRA, Nyoman Mastiani; ARMONI, Ni Luh Eka. Spa Products as Main Orientation in Wellness Tourism in Bali. 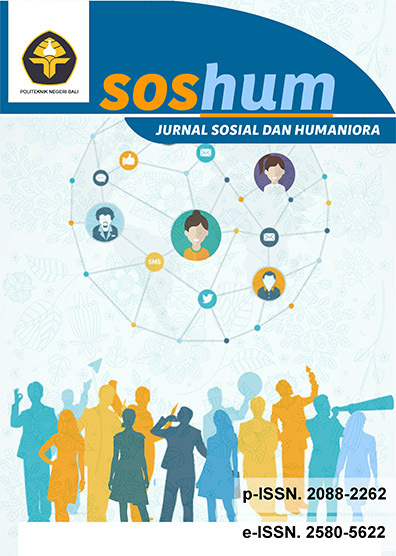 SOSHUM : Jurnal Sosial dan Humaniora [Journal of Social Sciences and Humanities], [S.l. ], v. 8, n. 1, p. 9-22, mar. 2018. ISSN 2580-5622. Available at: <http://ojs.pnb.ac.id/index.php/SOSHUM/article/view/756>. Date accessed: 19 apr. 2019. doi: http://dx.doi.org/10.31940/soshum.v8i1.756.